Pulaski County Adult Education Program | Adult Education, including GED, WAGE, ESL, and CRC programs in Pulaski County, Arkansas. All Pulaski County Adult Education sites will be closed on Friday, April 19, for professional development. Classes will resume on Monday, April 22. Robin Taylor, the Central Arkansas Medicaid Educator for AFMC (Arkansas Foundation for Medical Care) will speak at the WAGE Center at 104 S. First Street in Jacksonville on March 14 at 10:00 am. You’ll learn about the basics of your Medicaid benefits and what you have access to through this program. Her talk should be of particular interest to you if you are a new or expectant mother. As seen on KARK’s story at the link above, Mr. Howard is a great success story! He earned his Career Readiness Certification (CRC) through our adult education classes offered at Goodwill Industries of Arkansas while participating in their Transitional Employment Opportunity (TEO) Program. To find out how you can earn your Career Readiness Certification, click here! Be sure to attend Goodwill’s Re-entry Job & Resource Fair on October 5! The Pulaski County Special School District Adult Education Program is starting a new Home School Program! This program will be designed to help both the student and the parent and/or guardian. Our goals are to have the student pass the GED or obtain a High School Diploma as well as help parents with instruction to guide their child while they are off campus or at home. We will provide one classroom for the home school student and one for the parent or guardian. Both rooms will have teachers and computers to help aid instruction. The Pulaski County Adult Education Program offers free instruction to adults functioning between 3rd and 12th-grade levels. The program helps improve students’ educational skills, prepare for the GED Tests, or for standardized college entrance exams. The program is certified through the Pulaski County Special School District. 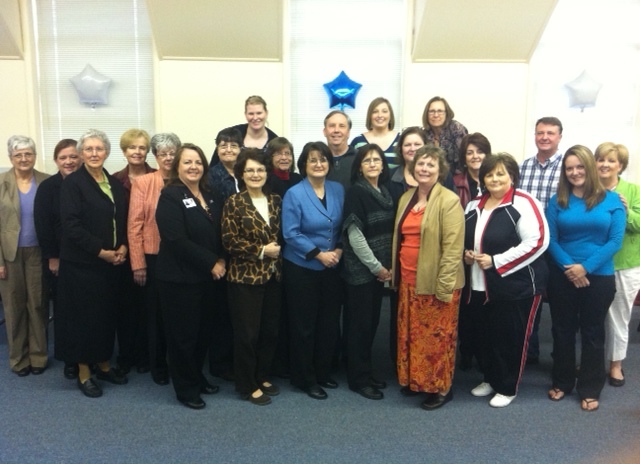 There are several essential programs available through Pulaski County Adult Education. It is essential for high school dropouts to obtain a GED for job placement and advancement. The WAGE Program (Workforce Alliance for Growth in the Economy) provides FREE training and basic skills improvement for those who need to update their skills for the many new skills required in today’s ever-changing job market. English as a Second Language (ESL) is offered for immigrants who wish to improve both their oral and written English language skills.